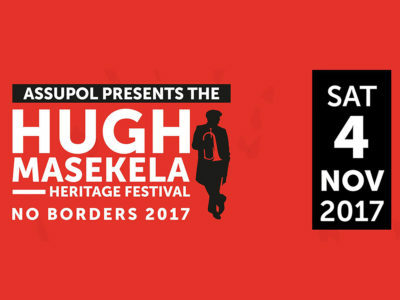 The 4th annual Hugh Masekela Heritage Festival returns to its Soweto home at Rockville’s Elkah Stadium on 4 November 2017. This not-to-be-missed festival, presented by Assupol, features a wide range of musical flavours including Riky Rick’s Hip Hop hits and Papa Penny’s Tsonga disco, headlined by Oliver Mtukudzi. Though he is not performing as he is resting after undergoing cancer treatment, the line-up is curated by Bra Hugh who is passionate about the power and potential of our nation’s cultural diversity. “We are becoming a society that imitates other cultures, yet we have the biggest diversity of heritage in our country. This festival is about celebrating that,” says Masekela, who this year was honoured with a Doctorate in Music by the University of KwaZulu-Natal on his 78th and birthday and was also honoured with another doctorate of music by Wits University. This eclectic approach will be evident on stage on 4 November when fresh artists on the rise, who released albums this year, will also perform: Afro Folk singer Bongeziwe Mabandla; Indie band Bye Beneco; Soul Reggae funksters Johnny Cradle and Jazzy songbird Zoe Modiga. There will also be a performance by a Traditional Basotho Group and BCUC, a percussion heavy Indigenous Funk crew who have been catching the ears of international and local festival goers of late. “Don’t miss this joyful family afternoon and early evening get together, Oliver and I together is spectacular, plus you’ll be bowled over by the seasoned artists and new names in the industry. Be there or be square!” Says Bra Hugh. 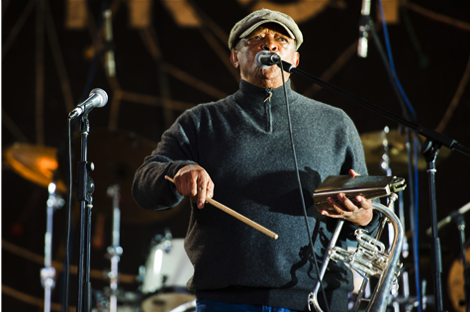 The Hugh Masekela Heritage Festival is a day of family fun, with entertainment available for all ages. Tickets are R100 at Computicket, R150 at the gate and R50 for pensioners. Gates open at 11:00 am on the 4th of November. Born 22 September 1952 in Harare, Tuku (as he is affectionately and respectfully known by his many fans), the ‘soul-dripping voice of Zimbabwe’ as he has so aptly been described, has a career that has spanned 40 years, and is only now reaching its peak. An amazing body of work with no less than sixty original album releases (nearly all of them best-sellers)! Also to his credit are several collaborations and compilation releases. 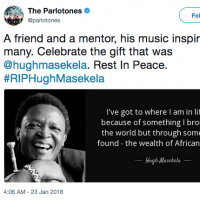 It is his dedication to the live music scene in Zimbabwe – continually playing to enthusiastic audiences in even the remotest parts of the country – and his socio-politically topical messages that have earned him the massive place he holds in people’s hearts today. He is without question, the biggest Zimbabwean artist presently both there and abroad. In the past years, his popularity has risen exponentially in the Southern African region, indeed the entire continent and the world at large. Together with his long-standing band, The Black Spirits, he regularly ventures across borders into Botswana, South Africa, Swaziland, Malawi, Zambia and Mozambique. In the past two years, the group has toured the UK, USA, New Zealand, Australia and Europe extensively. 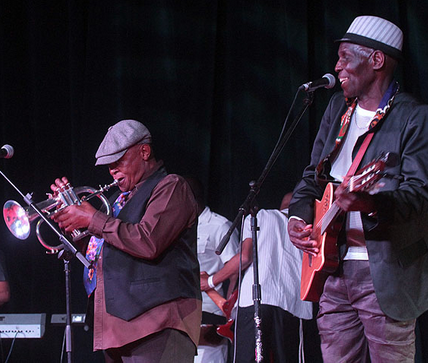 Tuku has, in fact, been so innovative that his music is now widely referred to as ‘Tuku Music’ being quite distinct from any other Zimbabwean styles. This is not to say that there are no recognisable influences in his work – the traditional forms of the mbira, the South African mbaqanga style, and the popular Zimbabwean music style called jiti, all affect it deeply – but these, like katekwe, the traditional drumming patterns of his clan, the Korekore, are very much absorbed into an art which is now indubitably his own. Riky Rick is a rapper, producer/entertainer based in Johannesburg, South Africa. His latest album, Family Values, was certified platinum by RISA and was in the Top 20 African albums of 2015. He has won numerous awards for his music, most notably the MTV AFRICA AWARD FOR BEST MUSIC VIDEO, a Loerie Award for his short film, Exodus and two awards at the South African Hip Hop Awards. Born in 1987, Riky Rick’s music style has been influenced by early Kwaito and Hip Hop. Borrowing from these influences, he has managed to carve a lane for himself as one of South Africa’s most electrifying performers and rap artists that the continent has ever seen. His raw and eclectic style has found the perfect synergy between South African township life and international appeal. Beyond music, Riky is one of the most loved and respected personal brands, lending his face and creativity to major campaigns for Ben Sherman, Puma, Russian Bear Vodka and Woolworths. He recently won Most Stylish Male in performing Art at the prestigious South African Style Awards held in November 2016. Born in Kulani Village, Giyani, Limpopo Province in the year 1962, Papa Penny, who was too poor to attend school, went to Johannesburg to look for a job. After a period in the mines, his search for a job led him to a recording studio where he was working as a cleaner. At this studio in Johannesburg in 1994, Afro-beat producer Joseph Shirimani was approached by Papa Penny. He just sang a song for Shirimane and that’s when he heard this unusual voice and melodies. Together, Shirimani and the cleaning man wound up cutting several songs, including ‘Shaka Bundu’. That song, an example of Tsonga (or Shangaan) Afro-disco, updated traditional African music with synthesizers, electric guitars and Disco or House beats. Released in 1994, ‘Shaka Bundu’ went on to sell 250,000 copies in South Africa and made Papa Penny a star. Now, 23 years later, the song, along with a whole album of Papa Penny music, has also been unleashed in the States – much to the surprise of the man who sang on it. Currently, Papa Penny has a reality show on Mzansi Magic, called Ahee Papa Penny. When Bongeziwe Mabandla surfaced with his debut album in 2012, he was hailed as the new face of Afro-Folk, effortlessly able to entwine Xhosa lyrics with traditional music and folk stylings to create something uniquely captivating. That the Eastern Cape artist can move into territory occupied by Africa’s most gifted singer-songwriters (Baaba Maal; Ismaël Lô for instance) is visible in his second album, 2017’s Mangaliso, his first through a new deal with Universal Music. The 10-track record is a sumptuous listen that spotlights Mabandla’s artistic growth into one of the most purposeful and gifted artists working in South Africa today. Born in Tsolo, a rural town in the Eastern Cape, Bongeziwe Mabandla displayed all the signs of a passion for art and music from an early age. After studying drama at AFDA, a film television and performance school in Johannesburg, his 2012 debut Umlilo earned two South African Music Awards nominations in 2013, for Best Newcomer and Best Adult African album. Johnny Cradle is a Johannesburg, South Africa based three-piece band. Laz provides the DJ scratch samples and FX, Tebogo J Mosane drums the drums and backs the vocals, Sakie leads the vocals, bass the moog and plays the keys. With roots in Mdantsane and Umtata in the Eastern Cape and Ga-Rankuwa in Gauteng, it’s no wonder these 80s grown-ups have a diverse influence behind their township slang Xhosa/ English lyrics driven by heavy bass, almost Hip-Hop electronica drum rhythms, DJ cuts reminiscent of golden era Hip-Hop and Bluesy Rock electric guitars. Johnny Cradle’s self-titled debut album was released in 2017 and shows off the trio’s knack for deep haunting back beats, landscape guitar lines, bullying moog infused bass lines and socially conscious manifestos. Taut and lean, Cradle’s debut boasts a collection of songs that are cerebral as much as they are danceable. Bye Beneco is a SAMA nominated Indie band from Johannesburg. Their sound has stemmed from a multitude of musical styles. This eclectic dream-Pop ensemble has a magnetic energy that elevates their music. The sound stems from various styles, with evocative vocals at the essence of their songwriting. Forever changing and evolving, the band refers to their opus as somewhat of a musical ADD with Africa being their biggest influence. Bye Beneco have recently released their latest single, ‘Jungle Drums’ accompanied by a new music video. Their new EP, ‘Ghetto Disko’ is out now! Bantu Continua Uhuru Consciousness (BCUC) moves the audience – both physically and emotionally – with an explosion of passion, funk and rhythm. With their music, straight from the ancestors, BCUC wants to question the common worldview on modern Africa. The basic ingredients of BCUC’s sound are the traditional whistle, percussion and a rocking guitar. Topped by the raw combative voice of Jovi, flowing rap by Luja and Hloni, the sweet and clear vocals of Kgomotso, and chants of all four vocals together. They baptised their unique sound as ‘indigenous Funky Soul’. BCUC takes the audience along on an intriguing journey to the secret world of modern Africa. They want to rectify western assumptions and show the post-apartheid South Africa from a young, contemporary, different perspective. In 11 languages, BCUC discusses the harsh reality of Africa where especially the unemployed worker forever stays at the bottom of the food chain. And also, they tap into the elusiveness of the spirit world of ancestors that fascinates them. Africa portrayed by BCUC is not poor at all, but rich in tradition, rituals and beliefs. Zoë Modiga who released her debut, Yellow: The Novel, in 2017, was born in Overport, Durban and raised in Pietermaritzburg. Her love for music at a very young age encouraged her to attend the National School of the Arts in Braamfontein, Johannesburg where she studied classical piano, clarinet and vocals. She is currently completing her degree in Jazz vocals at the South African College of Music at the University of Cape Town (UCT). Zoë was in the TOP 8 of The Voice SA, Season 1, sang “Amazing Grace” under the film scoring of Kyle Shepherd in Oscar nominated movie, Noem My Skollie and won the SAMRO Overseas Scholarship Competition for singing in 2015. Over the past few years, with some experience behind her, this singer-songwriter’s talent has opened a number of doors in the music industry. She has featured on tracks by The Kiffness; the Frank Paco Art Ensemble and Seba Kaapstad. Zoe has been fortunate enough to be part of celebrated festivals such as the Aardklop Festival, Artscape Youth Jazz Festival, the UCT Jazz Festival, Joy of Jazz, the Amersfoort Jazz Festival and The Cape Town International Jazz Festival. Kaya FM 95.9 and Bassline Live Present another iconic show on Friday 14th April as we host the legendary Hugh Masekela live on stage at The Lyric Theatre, Gold Reef City. Originally based at Bassline’s old Newtown venue, the series has happily moved and in doing so, set the bar on entertainment higher than ever before. The Home of the Afropolitan, Kaya FM is proud to be partners in presenting the internationally renowned and phenomenal Hugh Masekela. 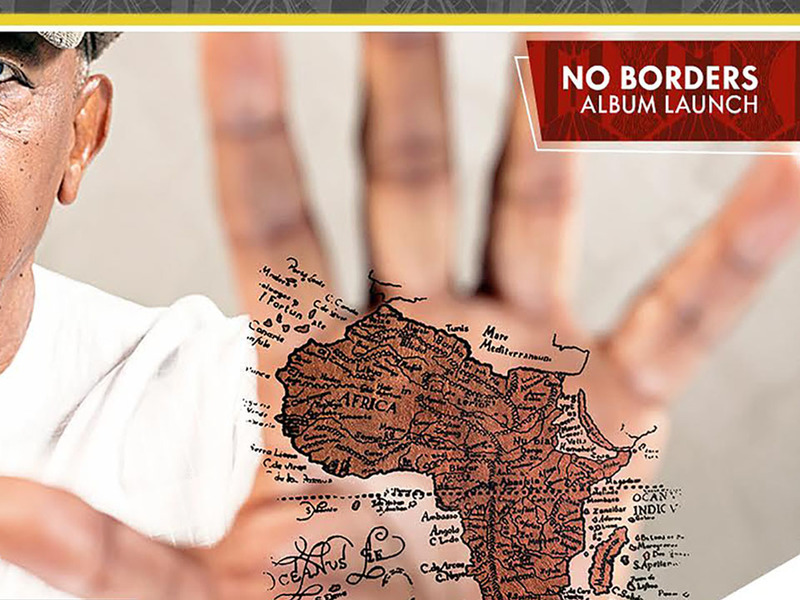 The Jazz maestro presented his latest album No Borders exclusively on Kaya FM in November 2016. Listen out for exclusive interviews leading up to the showcase. Bra Hugh will also be performing tracks from the album live for the very first time at this event, making it an even more exclusive experience. The Kaya Fm & Bassline Live series experienced yet another sold-out show as Thandiswa Mazwai blew the audience away with her “The Belede Experience” performance in March, seeing her jazz roots come alive in spectacular fashion. The series has historically grown from strength to strength, culminating in the past two shows being sold out sometime before performance date, and we predict with Bra Hugh it will be a similar, if not even faster rush for the box office. 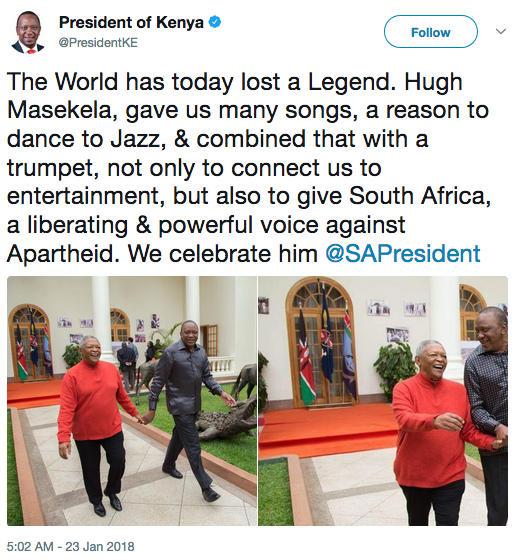 Hugh Masekela needs very little introduction to South African audiences. A world-renowned flugelhornist, singer and defiant political voice, his eclectic musical style is infused with jazz and mbaqanga, combining his gravelly voice and smooth horn sounds with an ever-present concern for his home and country, having lived 30 years of his life in exile. 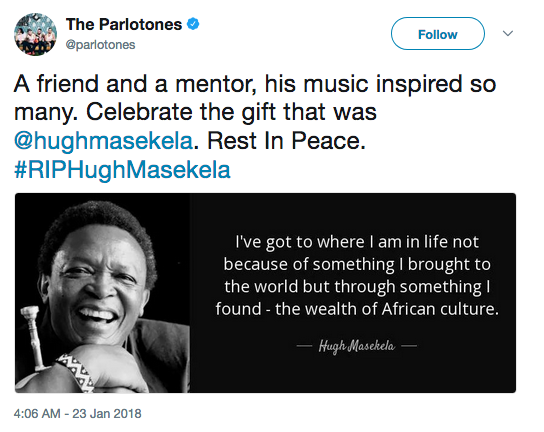 In his career, he has released well over 40 albums and at the age of 77 he released his brand new work ‘No Borders’, featuring extraordinary collaborations with diverse artists including Zimbabwean legend Oliver Mtukudzi, J Something from pop group Micasa, Themba Mokoena, Salema Masekela and Sunny Levin. 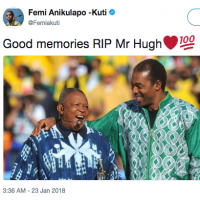 He has been celebrated in numerous ways over the years for his outstanding work and contribution to arts and culture and is currently using his global reach to spread the word about heritage restoration in Africa. “My biggest obsession is to show Africans and the world who the people of Africa really are”, he explains, and it is this commitment to his home continent that has propelled him forward since the beginning of his career. We are honoured to be able to have this icon join our family of superstars in the Kaya FM & Bassline Live Presents series. Book now to avoid missing out! Sunday 11 June – 5pm.Tickets: R300 – R750. Book at Computicket. No door sales. Jazz global icon Hugh Masekela, multi-award winning artists; Judith Sephuma, Ray Phiri, Stimela, Simphiwe Dana and internationally acclaimed Oliver Mtukudzi will headline the inaugural SA Jazz Festival in Kimberley. “This is our first year and we want to create a very unique property. We have pulled a great all-star versatile jazz line-up that will give jazz lovers a mind-blowing and a memorable experience. It has been a dream for long to create this flagship event that showcases SA Jazz tapestry, culture, food and tourist attractions in the Northern Cape,” says the founder and organiser, Somandla Sibisi. This all South African Jazz affair will take place at Langley Pleasure Resort on Saturday 17th December 2016. The festival will kick off the Christmas festive season in what will be an annual staple for jazz lovers in South Africa and across the Northern Cape Province. The festival’s core values are to develop, nurture, empower and showcase local jazz talent too. As a result three local artists and bands will be given an opportunity and a platform to perform among the big names. These include local singing sensations, Dineo, Michelle and Angelique. Acclaimed jazz master and singer, Ray Phiri will conduct workshops and presentations for up-and-coming musicians to hone their skills. Performance and outreach programs to take place worldwide on April 30, recognizing jazz music as a universal language of freedom. 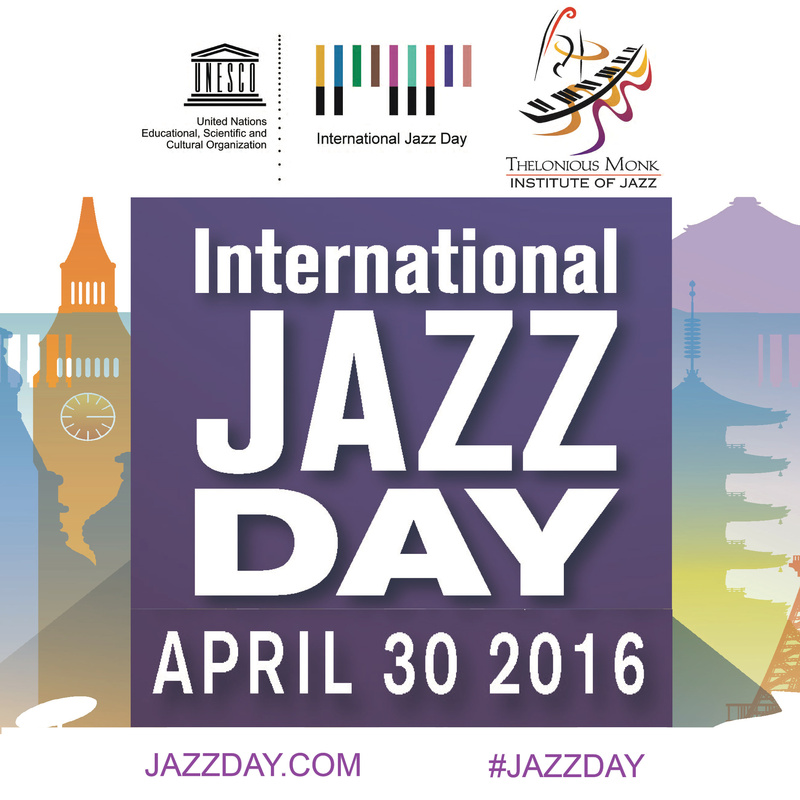 Paris and Washington, D.C. – United Nations Educational, Scientific and Cultural Organization (UNESCO) Director-General Irina Bokova and UNESCO Goodwill Ambassador Herbie Hancock are pleased to announce the fourth annual International Jazz Day, which will be celebrated around the world on April 30, 2015. Paris, France has been selected to serve as the 2015 Global Host City. Presented each year on April 30th in partnership with the Thelonious Monk Institute of Jazz, International Jazz Day encourages and highlights the power of jazz as a force for freedom and creativity, promoting intercultural dialogue through respect and understanding, uniting people from all corners of the globe. The celebration is recognized on the official calendars of both UNESCO and the United Nations, and this year will be a significant part of UNESCO’s 70th Anniversary celebration. The 2015 International Jazz Day celebration will kick off in Paris, France on April 30th with a daylong series of jazz education programs, performances, and community outreach. An evening All-Star Global Concert at UNESCO Headquarters will feature stellar performances by Dee Dee Bridgewater, A Bu (China), Igor Butman (Russia), Herbie Hancock, Al Jarreau, Ibrahim Maalouf (Lebanon), Hugh Masekela (South Africa), Marcus Miller, Guillaume Perret (France), Dianne Reeves, Claudio Roditi (Brazil), Wayne Shorter, Dhafer Youssef (Tunisia) and many other internationally acclaimed artists, with further details to be announced shortly. John Beasley will serve as the evening’s Musical Director. The concert from Paris will be streamed live worldwide via the UNESCO, U.S. Department of State, and Thelonious Monk Institute of Jazz websites. Daytime events in Paris will include master classes, roundtable discussions, improvisational workshops, and education programs led by world-renowned jazz musicians, educators, and diplomats. In addition to the All-Star Concert, multiple evening concerts and performances will take place across the city of Paris. Given its legendary place in jazz history, Paris is an ideal choice to serve as the International Jazz Day Global Host City. The city’s major figures in jazz include guitarist Django Reinhardt, vocalists Edith Piaf and Josephine Baker, violinists Jean-Luc Ponty and Stéphane Grappelli, and many more. Today, Paris continues to play an important role in the ongoing development of jazz as a musical art form. The Thelonious Monk Institute of Jazz is once again working with UNESCO and its field offices, national commissions, networks, Associated Schools, universities and institutes, public radio and public television stations, and NGOs to ensure their involvement and participation in International Jazz Day 2015. Additionally, in countries throughout the world, libraries, schools, universities, performing arts venues, community centers, artists, and arts organizations of all disciplines will be celebrating the day through presentations, concerts, and other jazz-focused programs. As in past years, it is anticipated that programs will be confirmed in all 196 UN and UNESCO member countries and on every continent. The designation of International Jazz Day is intended to bring together communities, schools and other groups the world over to celebrate and learn more about the art of jazz, its roots, and its impact. Ultimately, International Jazz Day seeks to foster intercultural dialogue and raise public awareness about the role of jazz music in promoting the universal values of UNESCO’s mandate. As a language of freedom, jazz promotes social inclusion, enhancing understanding and tolerance, and nurturing creativity. Pensioners: Tickets are R50 at the gate. Please provide Pensioners Card or ID.
. The Soweto Cricket Oval will be on your Right. 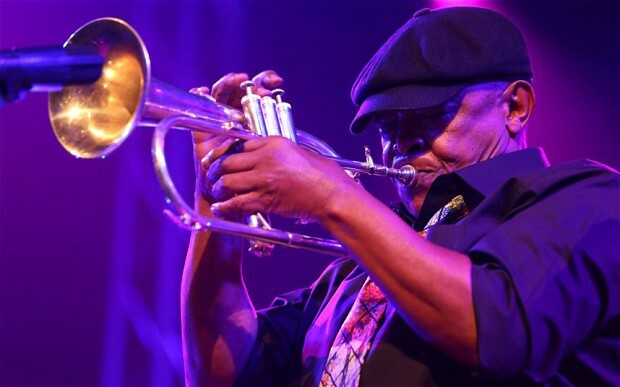 World-acclaimed jazz artist Hugh Masekela has roped in his jamming buddies from yesteryear – Tshepo Tshola and the Soul Brothers – to grace the second annual Hugh Masekela Heritage Festival in Soweto. The festival will also see Beatenberg, Jeremy Loops, Laurie Levine and Josie Field strum their stuff before Hugh Masekela takes to the stage to share a body of music that stretches over half a century of creative input. Explaining the inspiration behind this initiative, Masekela said: “As Africans we don’t really know who we are. “We are the only people that imitate other cultures, and as a result we don’t sell anything, yet there is no other group that owns a richer cultural diversity of music, dance, language, architecture and history than Africa. On the heritage festival concept, he said: “It came from wanting to recapture the old times, when there was mutual admiration between different tribal groups, when they gathered on weekends to sing and dance. “We would then have people from the suburbs come and join in and this is the rainbow vibe I intend to create for the festival.” he said. Headline sponsor Assupol’s Mariëtte Oosthuizen said: “Music, entertainment and good food are an integral part of this inventive festival and we are both honoured and excited to be part of it again. The festival, which started off last year under the theme Sekunjalo, takes place at Soweto Cricket Oval on November 29. 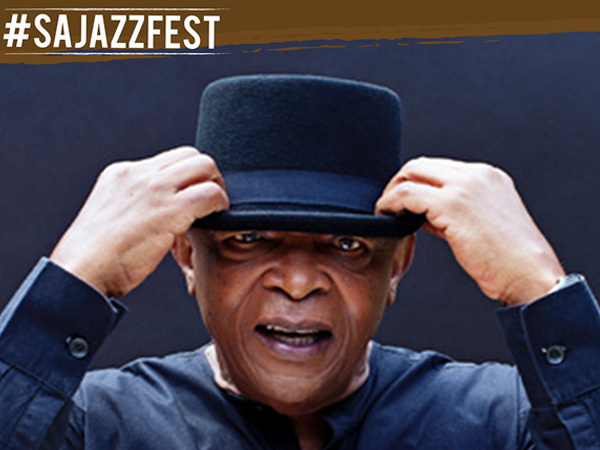 World-renowned jazz legend Hugh Masekela returns to Soweto with his second annual Hugh Masekela Heritage Festival. Following the success of last year’s festival, this year pays homage to South Africa’s rich cultural heritage. The star-studded line-up includes Tshepo Tshola, The Soul Brothers, pop trio Beatenberg, guitarist Jeremy Loops, folk singers Laurie Levine and Josie Field. Bra Hugh is a passionate advocate for the nurturing of cultural heritage among the youth. 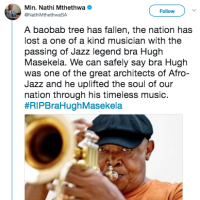 At the recent Hugh Masekela inaugural lecture at the University of Johannesburg, he emphasised the importance of appreciating one’s own heritage. “We are becoming a society that imitates other cultures, yet we have the biggest diversity of heritage. It is high time that we celebrate that,” he said. 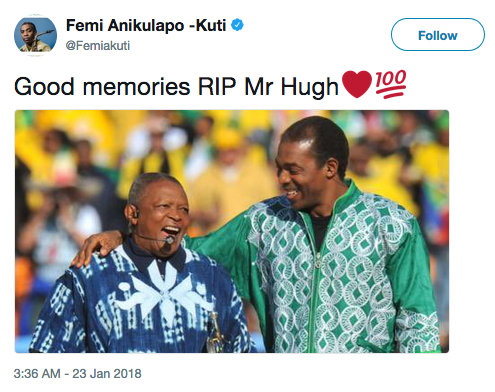 Not only is Bra Hugh a renowned solo artist who played an important part in forming a cultural voice against the apartheid regime, his iconic status in the musical arts has led him to become a critically acclaimed global brand. Hugh Masekela grew up with all kinds of American musical influences as a teenager, from Benny Goodman to Lionel Hampton. But he also had some British influences, too, including George Formby, a Lancashire ukulele player, singer and comic actor who made his start in musical halls. Formby might seem a surprising role model until you see Masekela perform. The South African jazz musician is a born showman. Masekela sings with a wild abandon; he sent flugelhorn lines plunging and soaring; he delighted the audience at the Hay Festival with a string of anecdotes, jokes and social and political statements. It was very entertaining. 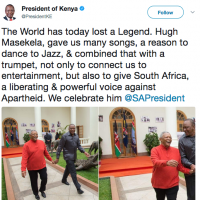 Masekela turned 75 last month and the story of how, aged 13, he was inspired to become a musician after seeing the film Young Man with a Horn, in which Kirk Douglas plays a jazz trumpeter based on Bix Beiderbecke, is pretty well known. But, more than six decades on, he has lost none of his passion for music. Masekela, who first came to England in 1961, when he studied trumpet at the Guildhall School, went off on an enjoyable riff about actually being from Inverness (“my real name is Gregory Scotty McGgregor the third . . . junior”) but the patter did not overwhelm the inimitable mix of American bebop idioms, rhythm and blues and South African traditions in the music. There was a smashing version of Masekela’s own song Stimela, about the trains that carry migrant workers from their homes. He evoked the sound of the train in a piercing scream but you could sense the implication of human tragedy underneath, and his gravely voice, so guttural at the lower range, is still special. A mention, too, for the band, whose skill gives Masekela the foundation to be at such magisterial ease. Masekela must know what a talent he has in Cameron John Ward, whose stunning stylistic range and sweet guitar licks were such a feature of the show. It didn’t stop the grand old man teasing the youngster, though. 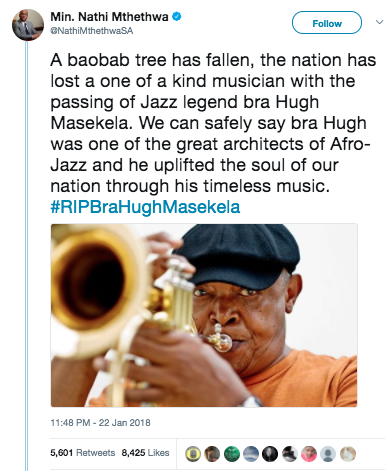 Masekela told the crowd, when introducing Ward, that they must not tell anyone they had seen Ward playing: “because he is on probation from the criminal school for boys and the police and his mother are still looking for him”. The great thing about the Hay Festival is its variety. As Masekela was delighting fans in the Tata Tent, a mere 30 second walk away, in the Telegraph Tent, The Super Furry Animals founder Gruff Rhys was delighting audiences with a show of incredible imagination – while wearing a furry wolf head. There was an irresistible sunny optimism to Masekela’s concert, with the audience either dancing in their seats or in the aisles, but for all the showmanship, it was his unmistakable golden flugelhorn tone that was so memorable.